The tour lasts approximately 3.5-4 hours. Get 'all shook up' with the Elvis Presley's Graceland Experience as you walk in the footsteps of the King of Rock ‘n’ Roll in Memphis. Though Memphis is filled with various points of interest and even the occasional National Historic Landmark, Graceland absolutely must be on your list of things to see. 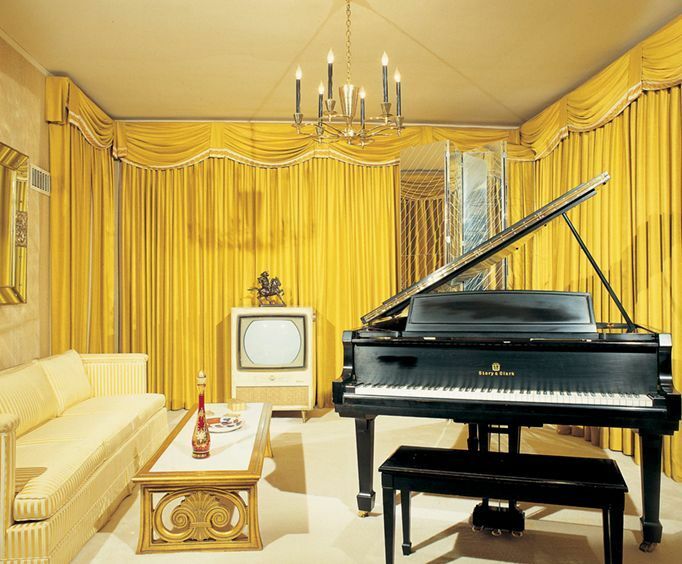 The tour takes place at Elvis Presley’s home, Graceland Mansion, in Memphis, Tennessee. The full Graceland experience will take you from the humble beginnings of Elvis Presley through his rise to superstardom. See how a rock ‘n’ roll legend lived and relaxed with family and friends. Enjoy video, photos, Elvis Presley personal mementos, movie memorabilia, stage costumes and much more. 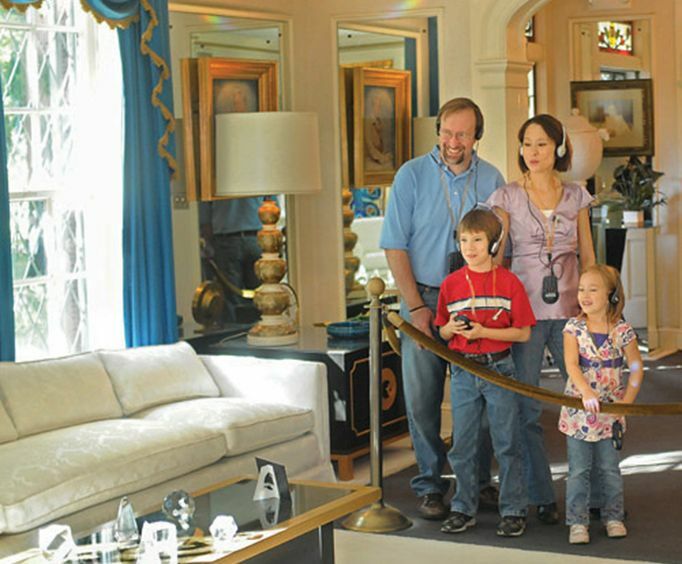 On the Graceland Platinum Tour, you will have the chance to experience the full Graceland Experience, including an audio-guided tour and self-guided tours. On the audio-guided portion, explore the Graceland mansion and grounds, where you can listen to the narrative that relays informative details, including family memories from Lisa Marie, and commentary from Elvis himself. Settled on 14 acres, the mansion that the Presleys called home is the second most famous house in America. On this mansion tour, you can see eight rooms of the main house, including the famous jungle room with its South Africa theme and famous green shag carpet, the guest house at Graceland, meditation garden, the racquetball court, dining room, original business room and the trophy room. The final stop on the grounds tour is Elvis' final resting place at Graceland Cemetery, where you can pay your respects to 'The King.' Explore Elvis' automobile museum, the Fashion King Exhibit and more on your own with a self-guided tour of Graceland. You can see the 1955 pink Cadillac, artifacts from Elvis' past, entertainment complex special displays highlighting the impact Elvis Presley had on music and the world, the recognizable fashion of the King and more. You can even upgrade from the Platinum Tour to the VIP Tour. With this, you get all the benefits of the Platinum, but you also get additional bonuses, including front of the line access inside the Mansion, a special all-day ticket that allows you to leave the house and come back later in the day and a keepsake backstage pass. If you are a longtime fan of the King and listened to favorites such as “Heartbreak Hotel” and “Nothin But a Hound Dog” growing up, you will definitely want to visit Graceland in Memphis and attend this 3.5 hour guided tour and self-guided adventure throughout the Graceland estate. See places like the guest house, Jungle Room, meditation garden and more while learning about Elvis Presley. Experience unique exhibits and see pieces of the life of Elvis Presley in this amazing place. Fans of Elvis Presley definitely do not want to miss out on exploring the house of the late performer during a unique Graceland tour in Memphis. Enjoy the full Graceland tour with the Elvis Experience. This guided tour lasts approximately 3.5 - 4 hours and includes guided narrative featuring videos, photos, Elvis' personal items and mementos, and more. See places such as the Jungle Room, the automobile museum, the Fashion King Exhibit, and more. The King's legacy truly comes alive on this all-encompassing tour. The tour includes the Graceland Mansion Audio-Guided Tour with New Orientation Film, full access to the new Visitor Entertainment Complex, admission into the Elvis Presley Automobile Museum along with the Elvis Discovery Exhibits and the Elvis: The Entertainer Career Showcase Museum. This tour includes all of the benefits and activities of the Platinum Tour as well as a few special additions. The VIP Tour includes a special all-day ticket that also includes the Graceland Mansion Audio-Guided Tour with New Orientation Film, Full Access to Visitor Entertainment Complex, access to the expanded Elvis Presley Automobile Museum, admission to the Elvis: The Entertainer Career Showcase Museum, Elvis Discovery Exhibits, and the Exclusive VIP Exhibit. Guests will also be able to skip the lines with the Front-of-the-line Mansion Access as well as take along a special Keepsake Backstage Pass to commemorate their trip. Had an awesome labor day weekend in fabulous memphis tennessee visiting graceland, sun records studios and world famous beale street. The entourage vip tour of graceland complex and the mansion was an incredible experience. Everything exceeded our expectations and we had a wonderful time. Tip: The entourage vip tour does not include the elvis private airplanes but you can add them like we did for $10. You actually get to go inside the airplanes and see everything so it’s worth it.